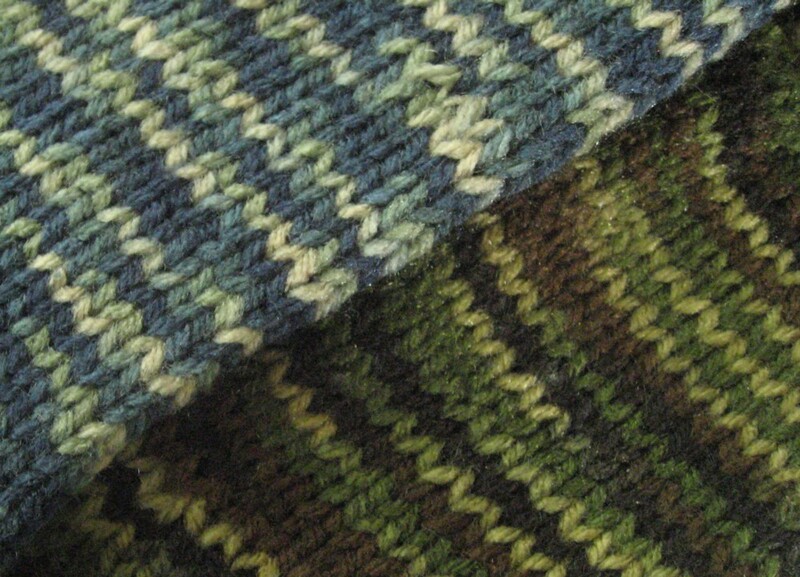 More knitting . . . and still waiting! 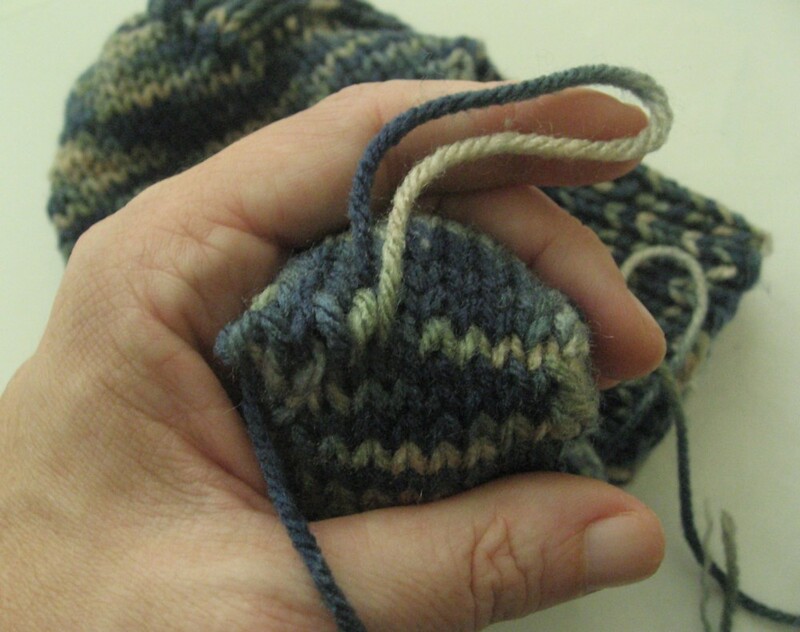 I also thought I’d share one of my favorite steps in knitting . 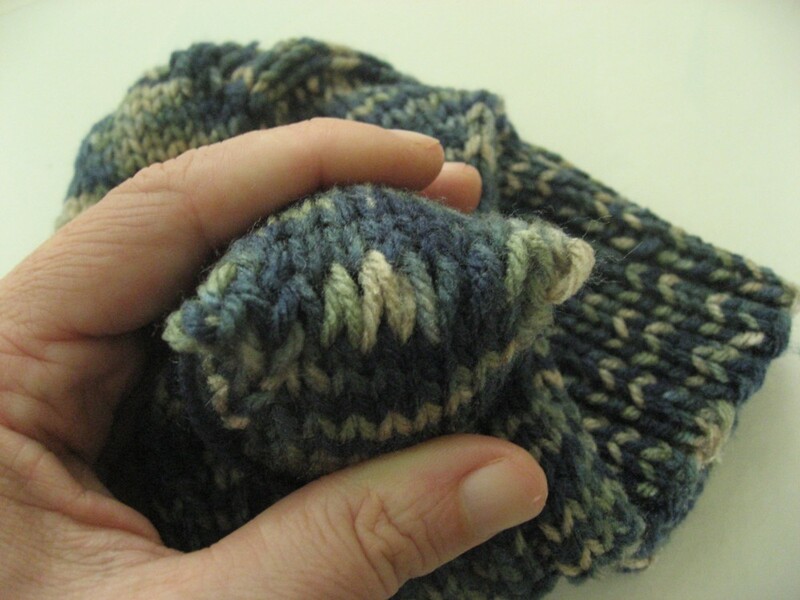 . . the Kitchener Stitch — the 8-ball way! I begin working from right to left, and with my yarn needle tighten the stitches to match the tension of the surrounding stitches. 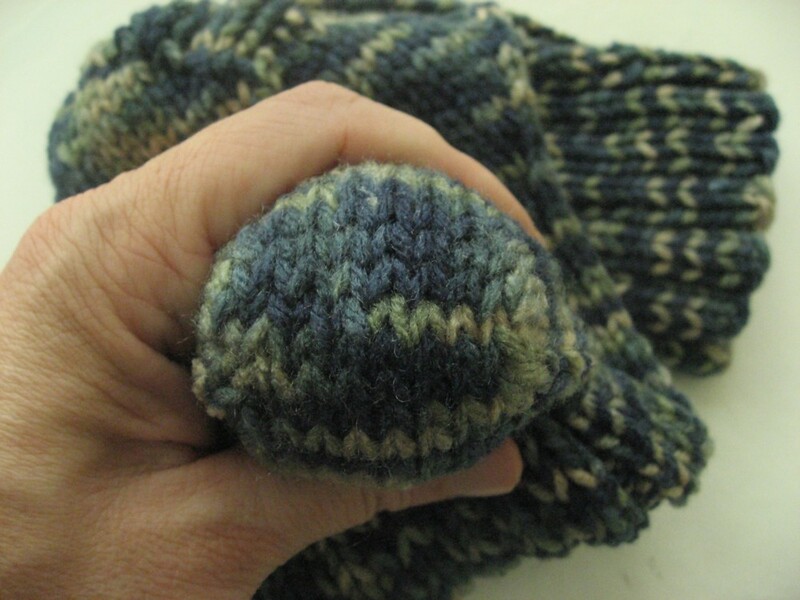 I found this to be so helpful — all the stitches are even, none bigger than the other. 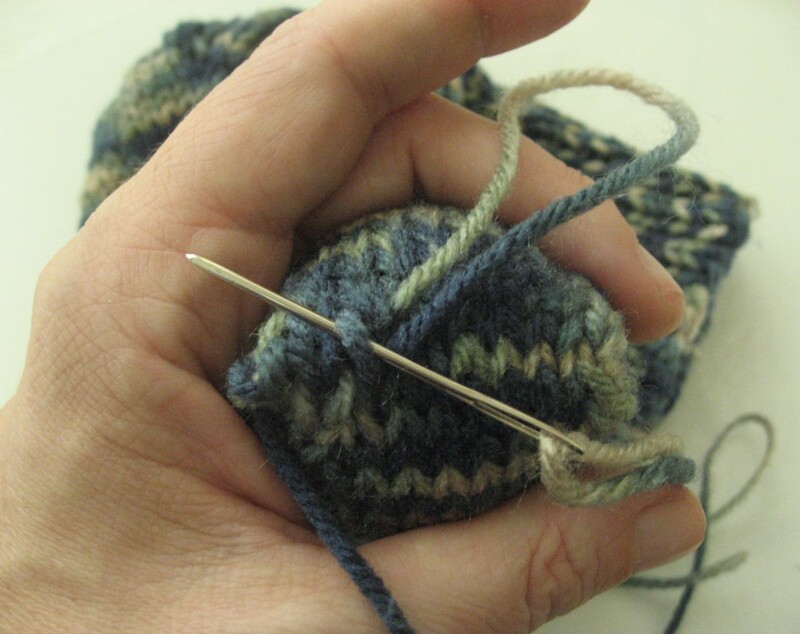 When I first learned this stitch for joining the toe, I tried just holding the sock flat, and tightening as I went, but it looked horrible — my 8-ball kitchener method was just the trick! I don’t know if everyone loves this step or hates it (I’m also one of those weird seamstresses who really like putting in zippers! ), but I really get satisfaction in hiding this join in plain sight! And the 8-ball makes it super-easy! 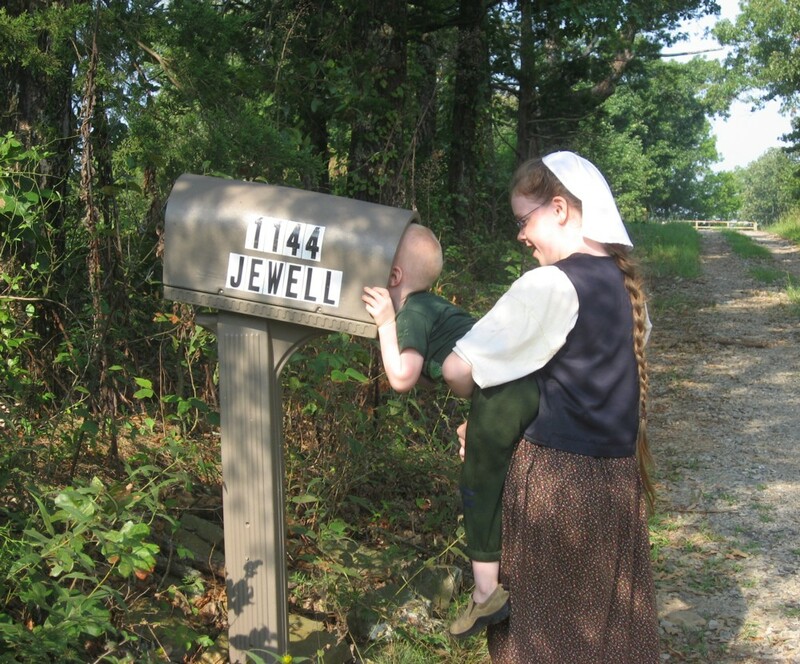 Oh, and we are continuing to wait for the postman to deliver our bare dyeing yarn!